The city of Venice has installed tourist turnstile checkpoints at main entry points to divert visitors along separate routes. Some residents last week protested the turnstiles (see photos in tweet below) and feel their city is increasingly becoming a theme park. 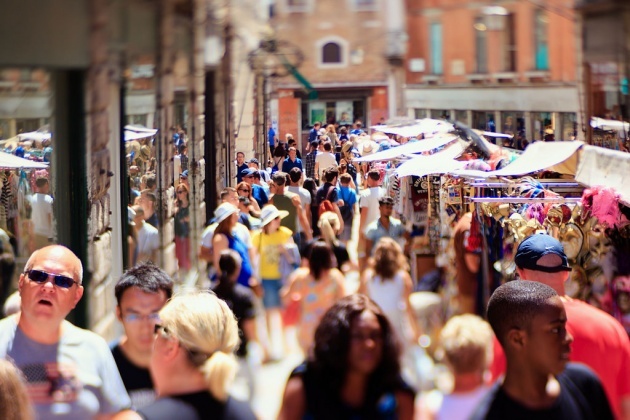 Last month, Venice Mayor Luigi Brugnaro announced an ordinance that was in effect from April 28 to May 1, a busy holiday weekend in Italy, that set up multiple checkpoints to inspect identification of people wanting to enter the city. Residents and tourists with Venezia Unica Cards were allowed to take a different and ideally less-crowded route to their homes and popular attractions than tourists who didn’t have the card. Although some European destinations have taken steps to better manage tourism growth and arrivals in the past year, many popular cities and towns are facing another crowded summer.